Should you come and see us? If you think you have a slipped disc in your back you will probably have severe back pain that may be worse one side or the other, or it may be just as bad all the way across. You may also have a lot of muscle spasm and pain and you may find it very difficult to move. If you have a slipped disc in your neck you will probably have the same symptoms of pain and stiffness and you may have pain worse on one side than the other. 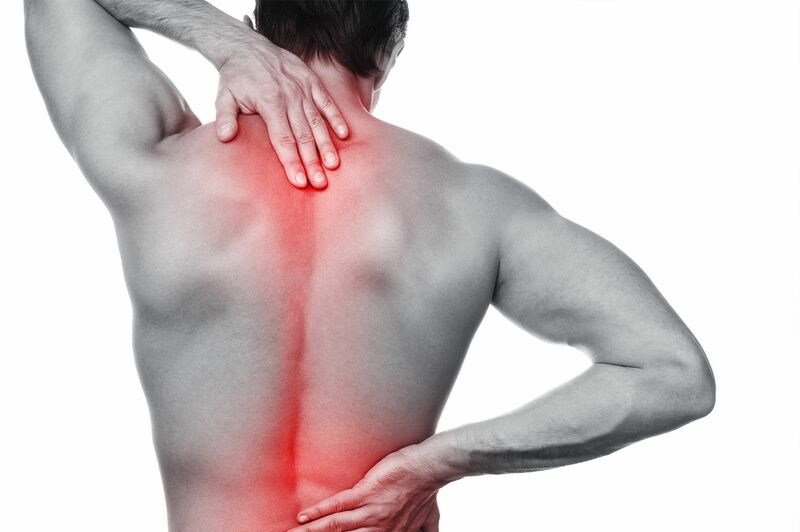 With a slipped disc at any level in the spine you may also get symptoms of a trapped nerve. If you think you have a slipped disc please get in touch with us. It needs special management in order to get you back on your feet as quickly as possible and in more than 9/10 cases you will be able to do this without having to have an operation. If you have pain in any part of your arm, forearm or hand or in your buttock, thigh, calf or ankle you may have a trapped nerve. People normally find pain from a trapped nerve the most painful thing they have ever experienced, and they tend to use a number of characteristic words to describe it, such as gnawing, burning, stabbing, aching, shooting and electric shocks. Typically, people find it very difficult to rest or get sleep and normal painkillers, even the strongest ones, generally don’t work very well. 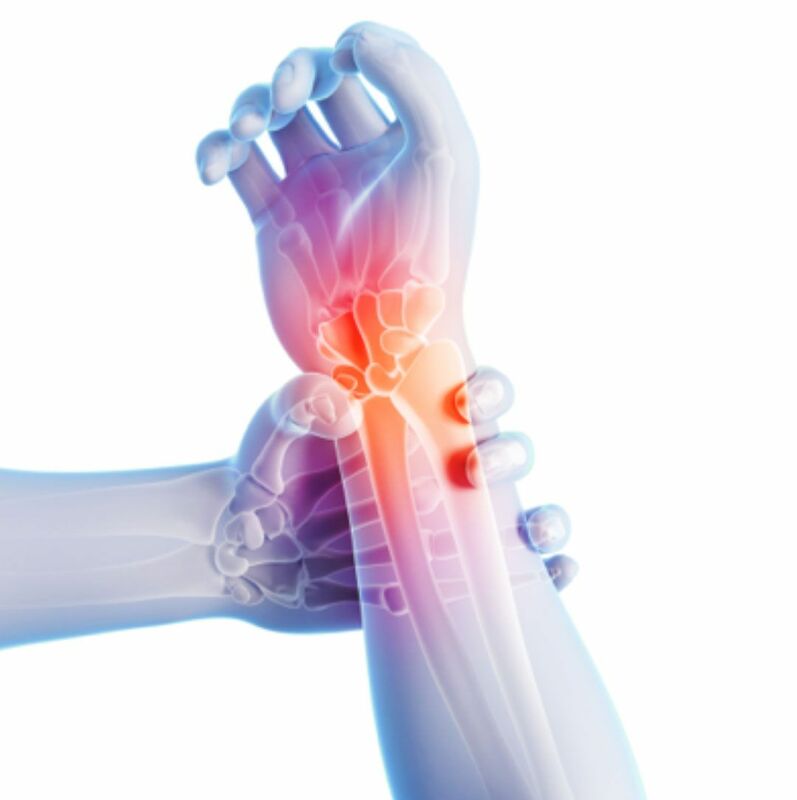 If you think you might have a trapped nerve please get in touch with us straight away. We will investigate you to find out the cause, and formulate a management plan. In most cases we will be able to manage your problem with medications, and image guided injections or other day case procedures. 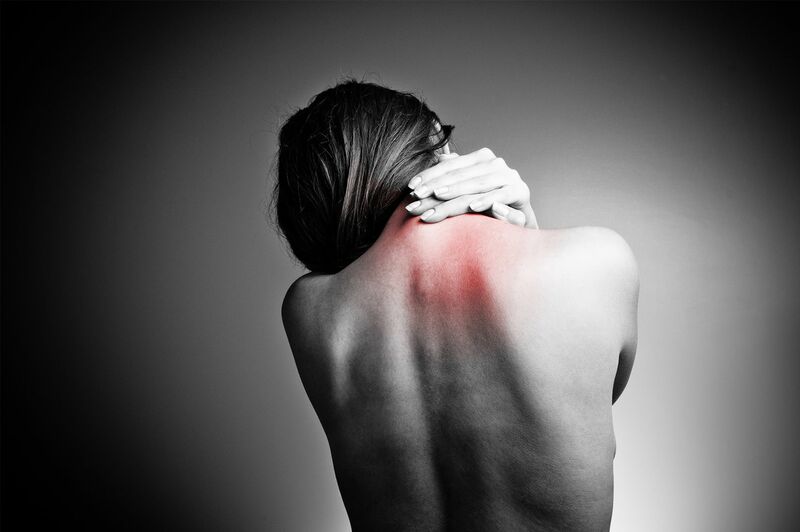 If you have pain in any part of your neck, shoulder, arm, forearm or hand you may have a trapped nerve, a slipped disc, or a degenerative problem in your neck. If you have any of these please get in touch with us straight away. We will investigate you to find out the cause, and formulate a management plan. In most cases we will be able to manage your problem with medications, and image guided injections or other day case procedures. If you have pain in any part of your buttock, thigh, calf, ankle, or foot you may have a trapped nerve, a slipped disc, or a degenerative problem in your back. Pain in the groin can be caused by a number of completely different things. The commonest causes of groin pain are related to hernias or sportsmen’s groins (Gilmore’s Groin), problems with a hip joint or from the lower part of the thoracic or upper part of the lumbar spine. Pain from the hip joint is generally felt in the groin, the buttock or both and it is also frequently felt in any part of the thigh but it will generally not go below the knee joint. It is often worse on standing when you put weight through your hip joint. If you have pain in your groin and you are not sure what is causing it or if you think after having read this you know what is causing it please get in touch and we will help you. Pain from nerves that have been damaged, compressed or for whatever reason are not functioning properly is typically felt by patients as burning, tingling, shooting, electric shocks, aching, gnawing, stabbing and other such words. 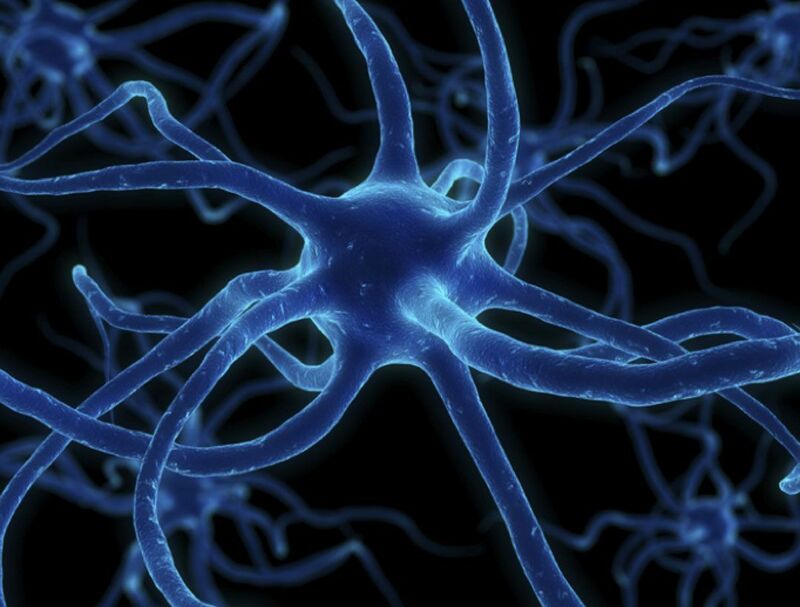 Nerve dysfunction is also often accompanied by numbness or strange sensations in the skin which can include pins and needles, extreme pain on very light touch to the skin, blowing on it or even clothes or bed sheets touching it. If you have any symptoms like this you may have damaged nerves and please get in touch with us. 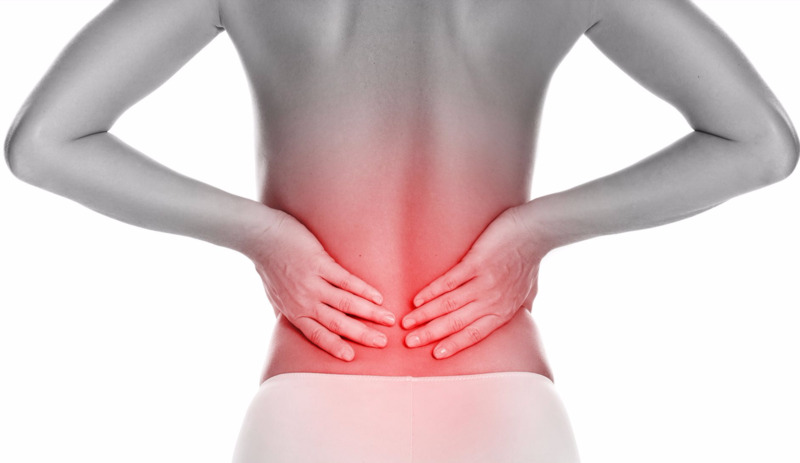 If you have had bad back or neck pain for a while and you have done the things you should do, like take simple painkillers, taken some rest where appropriate and have done the right exercises to strengthen your back, but your pain hasn’t gone, that might indicate that you have a serious spinal problem and that should be investigated. It doesn’t necessarily mean that you will need to have an operation, in fact surgery is rarely needed in back and neck problems, but if you have a troublesome back or neck problem please get in touch with us and we will investigate it, let you know what is causing it and there is a good chance we will be able to successfully treat it, and if we can’t treat it ourselves we will refer you to the best experts in the country. If you have been seeing another health professional and, despite their best efforts, your problem has not gone away they may well feel you need to get some imaging. If this is the case, please ask them to refer you to us, and we will fully examine and assess you, and if it is medically indicated we will get the appropriate imaging to investigate your problem so we can then get a diagnosis and plan treatment. If you have been seeing a physiotherapist and, despite their best efforts, your problem has not gone away they may well feel you need to see a specialist. If this is the case, please ask them to refer you to us, and we will fully examine and assess you, and we will arrange the necessary tests to find out what your problem is and get you on the right path to being sorted out. 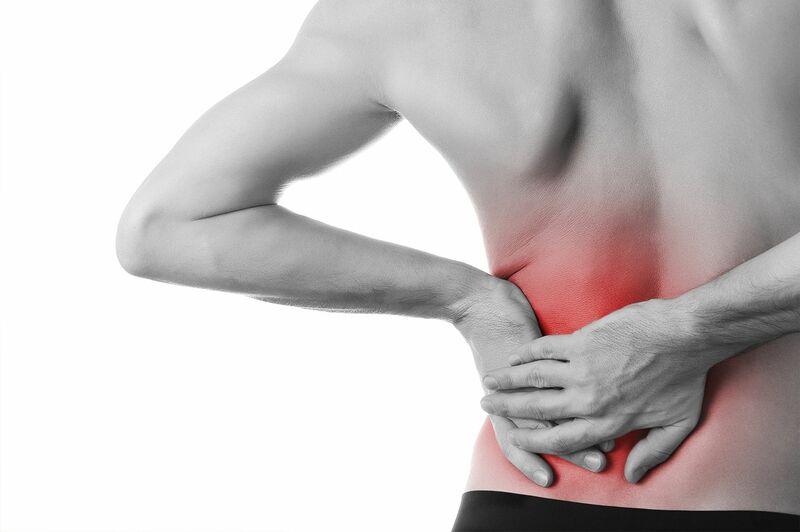 We specialise in helping people avoid spinal and orthopaedic surgery. 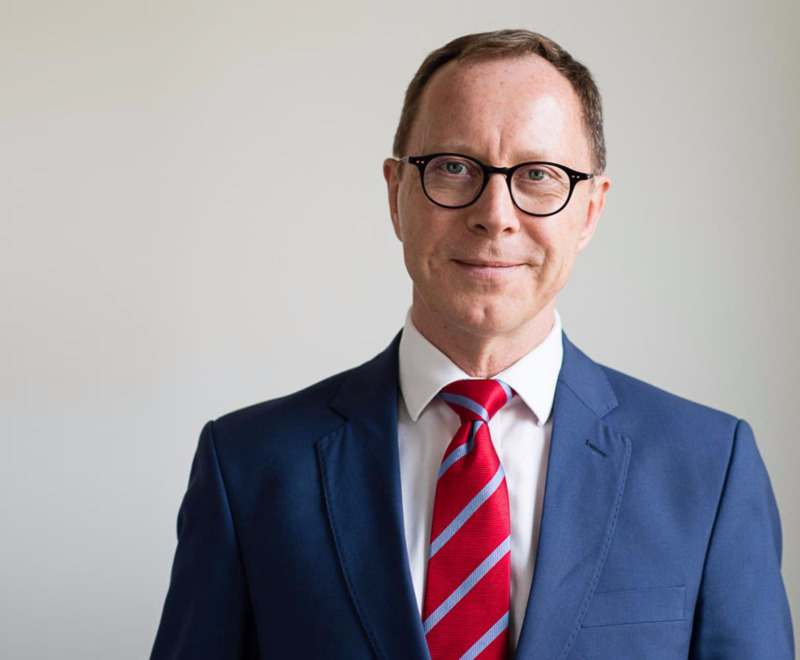 A lot of problems that people think they need surgery for, and in some cases may even have been told they need surgery, can be managed without resorting to surgery so if you think you might fall into this category please get in touch with us. We will go through all your tests and investigations, if you have had them, or arrange appropriate new ones if you haven’t and come up with a management plan to help you avoid surgery. 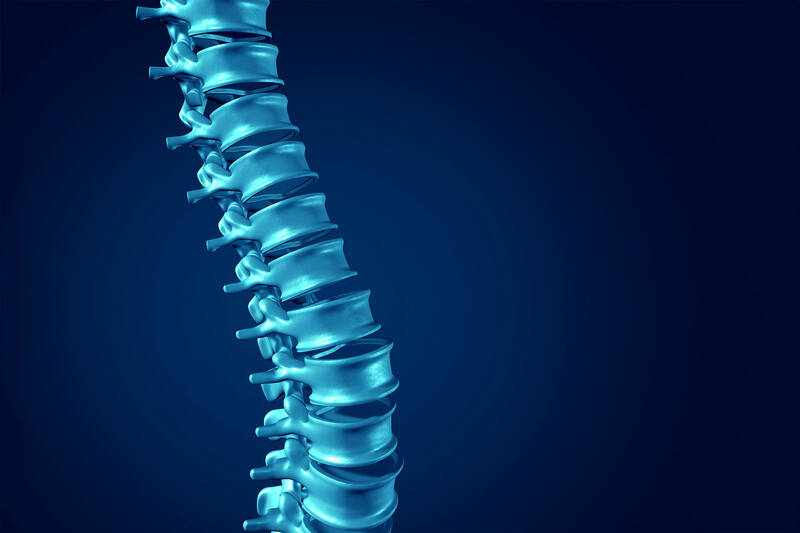 We cannot guarantee that this is always going to be possible and some people simply can’t avoid it, and if we think that is the case we will tell you, but a lot of people can be managed very well without ever having to have spinal or orthopaedic surgery so please contact us so we can see if we can help you. Unfortunately, this is not uncommon and we probably see more patients in this category than any other. Surgery can technically go very well but, unfortunately, some people still have persistent problems. Occasionally, there are complications due to surgery but in most cases patients problems simply persist or they develop new ones after surgery, which they would not have had if they hadn’t had surgery. If you think this refers to you, please get in touch with us. 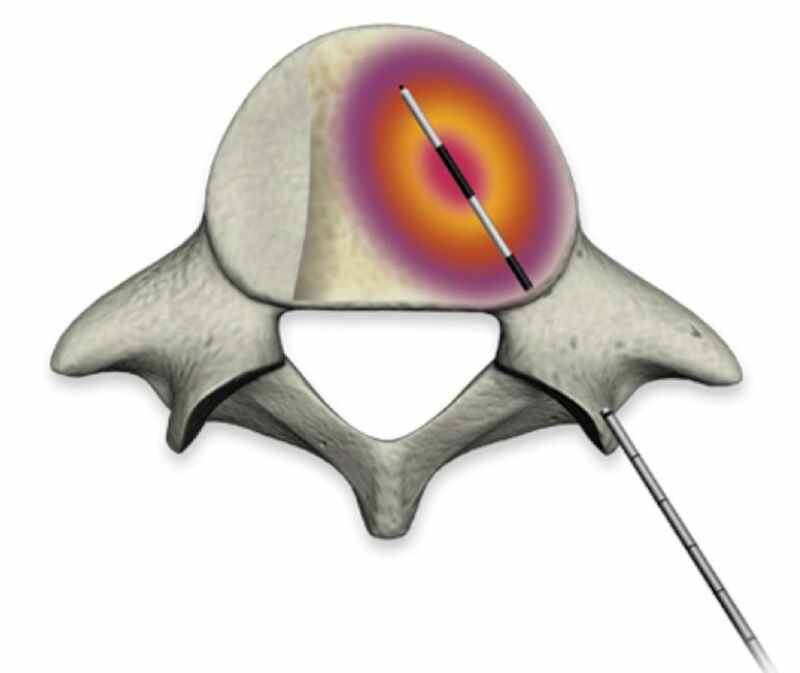 Radiofrequency ablation (RFA) is the treatment of choice for osteiod osteomas and is approved by NICE. RFA for metastatic bone tumours can be helpful for pain relief in patients for whom radiotherapy and chemotherapy are inappropriate. 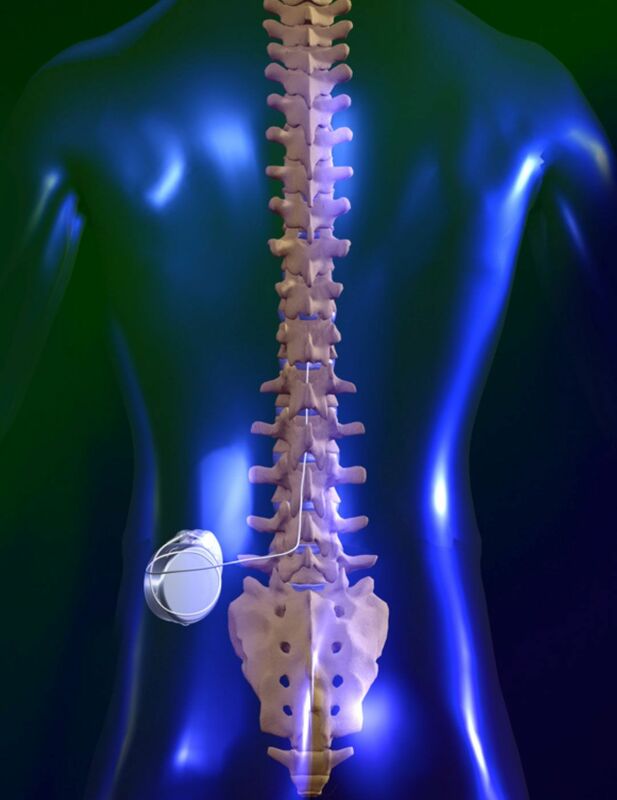 Spinal cord stimulation (SCS) can be highly effective in managing back and leg pain from spinal problems. We normally do SCS in patients who have persistent pain after spinal surgery, but there is increasing interest in SCS as an alternative to surgery in some patients.